What can stop Chelsea from winning the European cup this season? Chelsea are unbeaten this season, streaking ahead in the Premier League and rightly amongst the favourites to win Champions League. Yet they are still a long way off where they will need to be in order to win Europe’s top competition, and there are plenty of things that can prevent the Blues winning their second European cup. Here we examine the five main obstacles that lie between Chelsea and further Champions League glory. Another Amazing Barca Training video! Didier Drogba is a club legend, and scored a couple of goals in Diego Costa’s absence last month, but he is a very different player to Costa, and the team doesn’t really function the same way with him in the side. After drawing 1-1 with Schalke 04 in Drogba’s first start earlier in the year, the West London outfit drew 1-1 with Maribor and Manchester United and scraped a 2-1 win over League Two’s Shrewsbury Town in Costa’s latest absence. Without the Spaniard’s ability to stretch the opposition’s shape, there is no room for Eden Hazard to attack the defence and create chances for his teammates. Loic Remy has the necessary pace, but perhaps not the ability to lead the line alone against top Champions League sides. 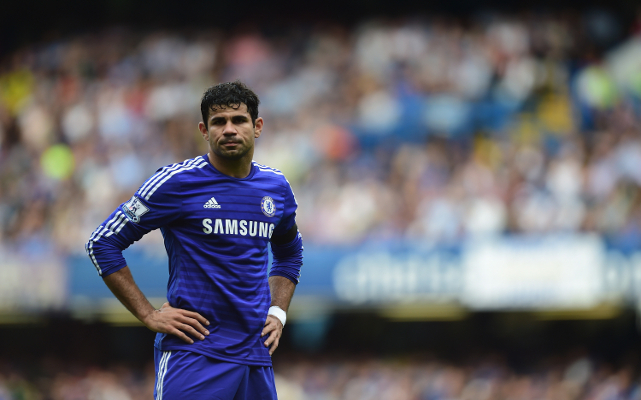 Without Costa, Chelsea will be too short of goals to get past the best sides.